Noise, cheesecake and excitement abounded as the Communication Department’s senior class presented their skills during the Senior Showcase. 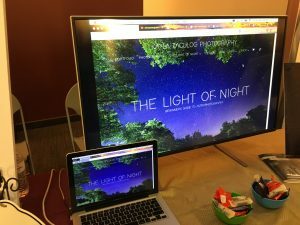 Amid the hustle and bustle of visitors and students seeking out presentations with the most potential and candy, a small, quiet stand presenting a website sat showing an array of nighttime astral scenery. This project belongs to Kayla Taculog. Taculog’s website has been active since Nov. 27. Since that time its web traffic has fluctuated between 20 to 30 visitors per day. 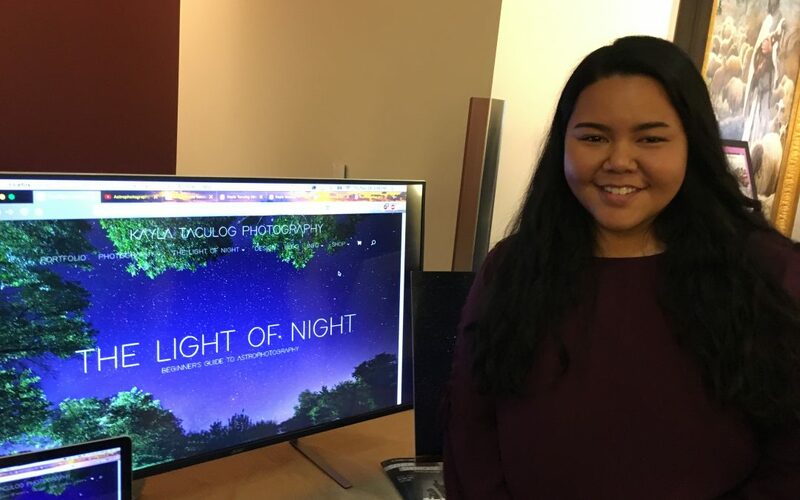 Taculog said her classes and the experience she gained from her teachers has been instrumental in navigating the world of Google rankings and increasing her web traffic. She also attributes the success she has had to the modern and sleek design of her website and to the content she produces. 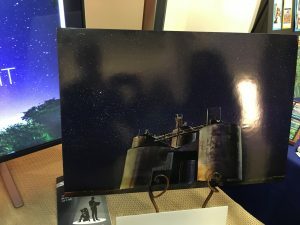 The website’s blog is targeted to budding photographers with an interest in capturing the night sky. Her posts include content on gear needed, editing process, printing procedure and examples from Taculog’s own gallery of astrophotography. Though this website, kaylataculog.com, started as an official school project a few months ago, Taculog has been working on the general idea and perfecting her photography and teaching techniques for over a year. She wants her project to be a successful mark of her talents and achievements for years to come and not some half-hearted effort to slide by with a good grade. In addition to the blog and night sky gallery, Taculog’s website contains a gallery on creating beautiful food photography, a guide to creating a movie poster and instructions on landscape photography.